In delivery services, the last mile is the most important. 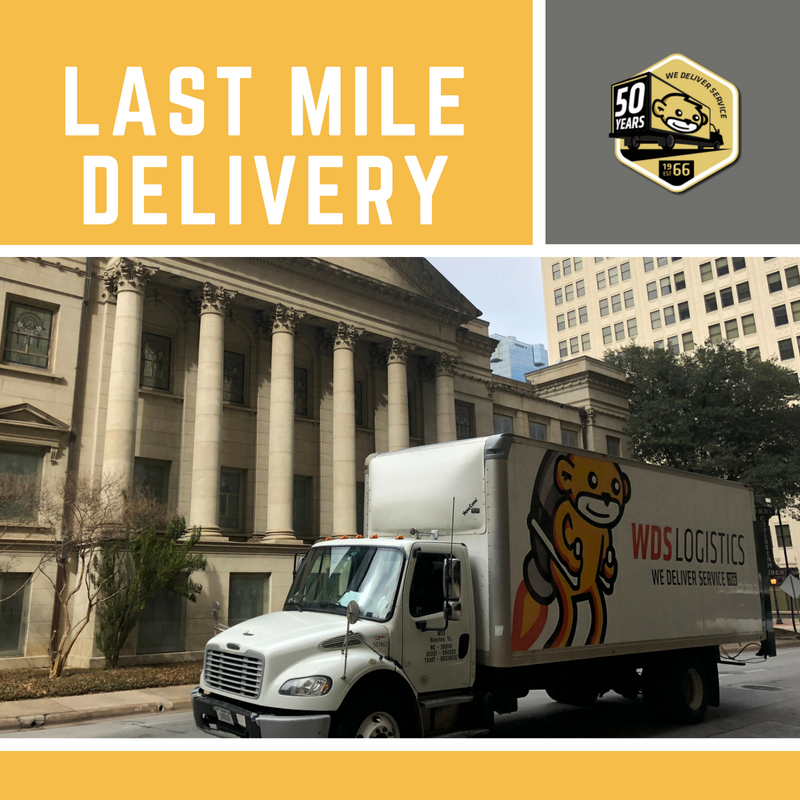 Last mile delivery is the service that transports the goods to the home or office space. It’s the moment when the customer interacts with the logistics business, and that is the moment where WDS Logistics shines. Our business model has been built around excellence in the last mile, and you, as the customer, choose how we deliver service and goods. Our company-owned, air-ride suspension trucks are all equipped with lift gates and the tools and supplies needed to do the job right. Every service person is trained, uniformed, screened, drug tested, and employed by WDS. Each truck is insured and fitted with tracking and monitoring technology. Curbside delivery: Your products are delivered to your customers’ location. Your products are delivered on schedule and in the condition promised. Threshold delivery: Your products will be delivered to the first-floor entry way, on schedule and in the condition promised. Inside delivery: Your products are delivered and carried into the room of your customers’ choosing. Your products are delivered on schedule and in the condition promised. White Glove: White Glove is the highest level of last mile delivery service, and it enables you and your company to continue working without a hitch. Your products will be delivered and carried into the room of your customer’s choosing. Product will be unpacked, connected/installed to ensure operability, debris will be removed and some light assembly will be completed. Our team at each of our three Texas locations includes installation experts in medical equipment, office equipment and server racks and other data center elements. Your products are delivered on schedule and in the condition promised. When you’re ready for the best delivery experience, it’s time for White Glove Service for your last mile delivery service from WDS Logistics.